As wartime assignments go, Jerry Chambers doesn't have it too bad. By day he flies routine patrols over the English Channel, leaving his nights free for drinking and dancing with his girlfriend, the lovely barmaid Mona. Everything seems to be going right - until Jerry accidentally sinks a British submarine! Seeking to redeem himself, he accepts a transfer to a dangerous mission, risking his life to test an experimental and deadly new weapon that could help defeat Hitler. Meanwhile, back home, Mona thinks she has discovered proof of Jerry's innocence and sets out to clear his name - but will anyone believe her, and will she be too late? 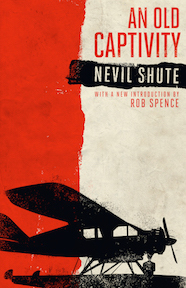 Based in part on real-life events that occurred during the Second World War, Nevil Shute's seventh novel, Landfall (1940), is a thrilling page-turner that draws on Shute's own experiences as a pilot and engineer. This edition features a new introduction by Rob Spence. About the Author: Nevil Shute (1899-1960) was one of the most popular and beloved British novelists of the 20th century. A prolific author, his works include the classics A Town Like Alice (1950) and On the Beach (1957), both of which were adapted as successful films.